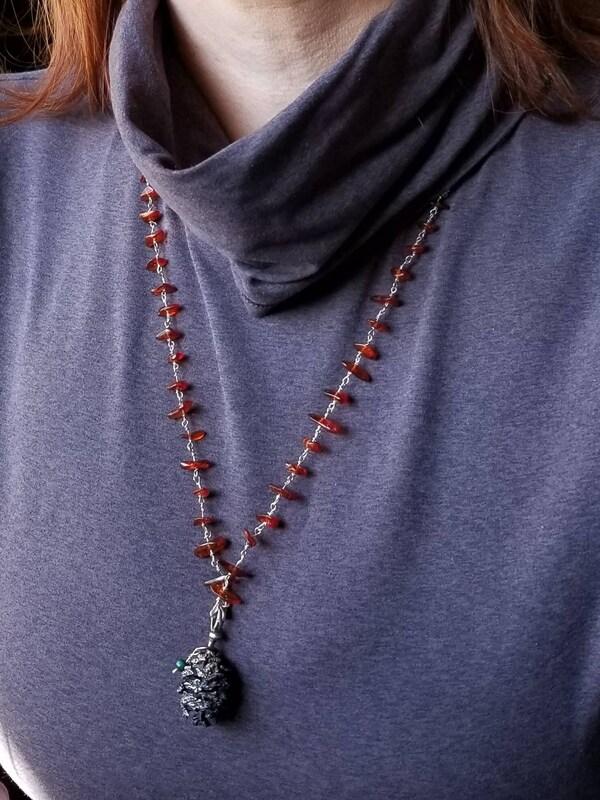 The centerpiece of this unique necklace is a hand cast solid sterling silver pine cone, which I adorned with a small 4mm malachite bead. 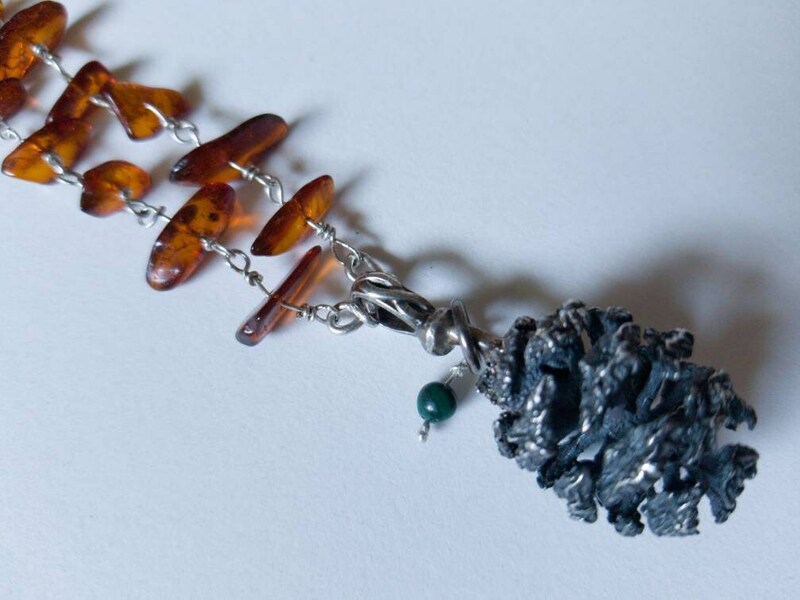 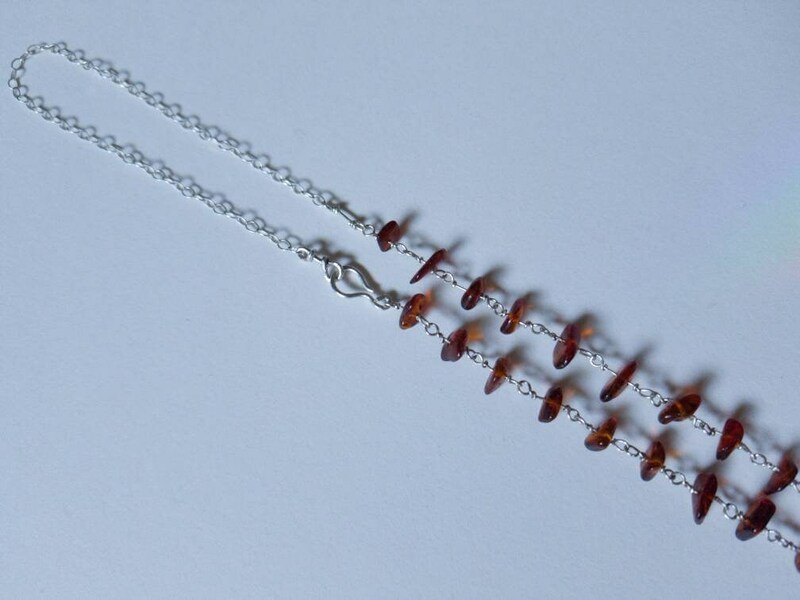 I created each chain link by hand out of sterling silver and incorporated a honey colored amber nugget. 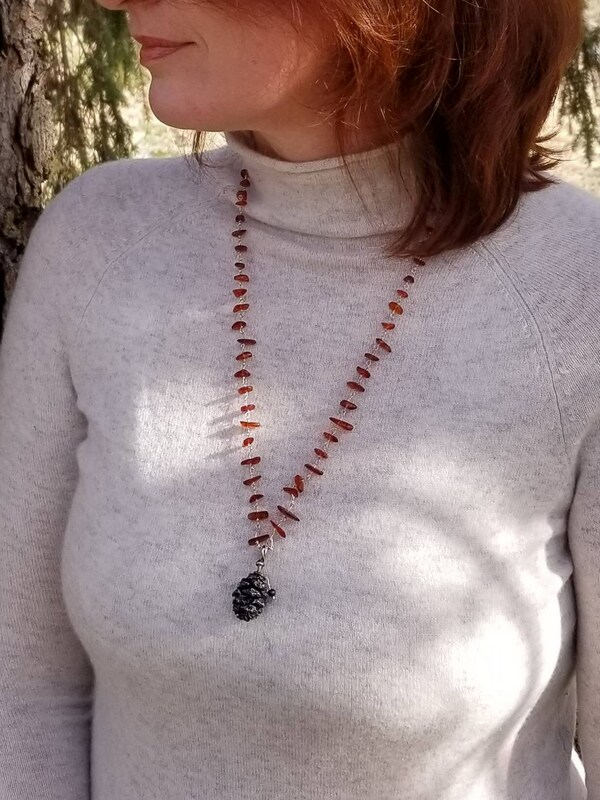 I also created the sterling silver hook to make the length of this necklace slightly adjustable. 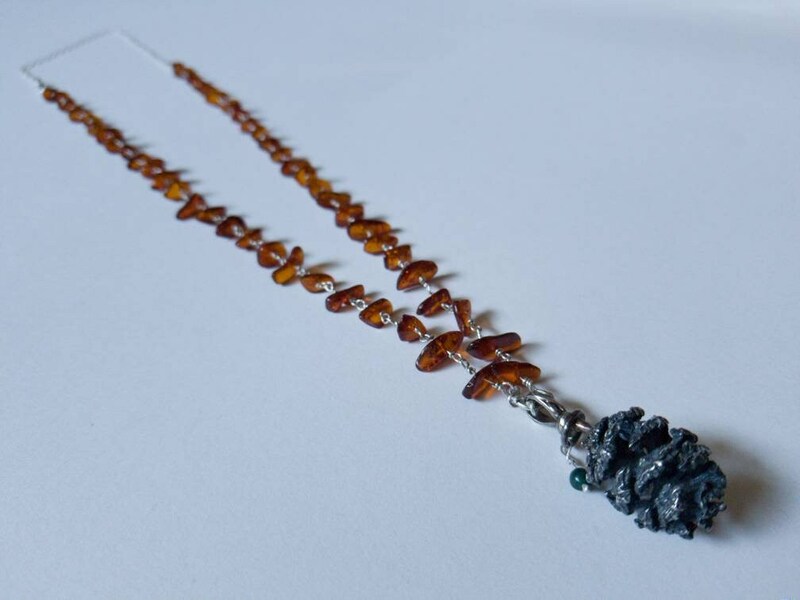 The necklace is 28 inches long not including the 1.5 inch pine cone.